There is a discussion of the myths around whether one can or cannot increase or decrease VDO and a very useful chart (Table 2) showing the effect that a change in height at the molars will have on position of the incisors and the incisal pin of the articulator. 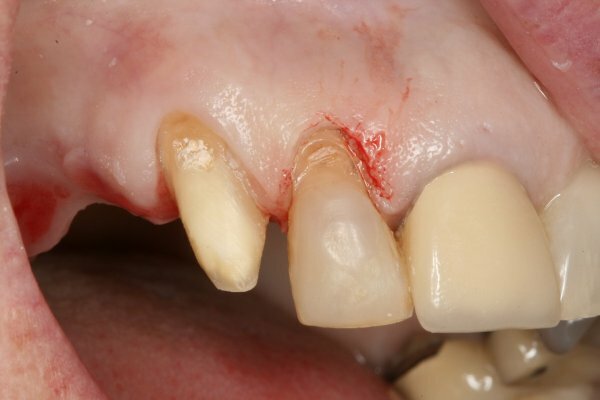 There are also several very interesting case presentations, including the use of occlusal equilibration alone to close down a significant anterior open bite. Please read the article and comment below if you have any questions of observations. I might put a few similar cases of my own up if there’s sufficient interest, or if you have some photos and a case report you are prepared to share and have discussed please send them to me and I will publish them on here for you. Please let us know if you have anything planned in your practice for Migraine Awareness Week – seems like a great opportunity to get the message across to the general public. I really enjoyed reading Mark Cronshaw’s editorial piece in PPD magazine so I asked him to send me the text so we could repeat it here. Well worth a read. Loss of cervical tissue around teeth has been linked to the presence of excessive occlusal loading. These are known as abfraction lesions, defined as “Loss of tooth structure, usually in a wedge-shaped pattern in the cervical area of the tooth, attributed to flexure and fatigue in an area away from the point of loading (usually cervical).” The true aetiology of these has been called into question, with some recent research purporting to show that a toothbrush and abrasive dentifrice are required for them to develop. 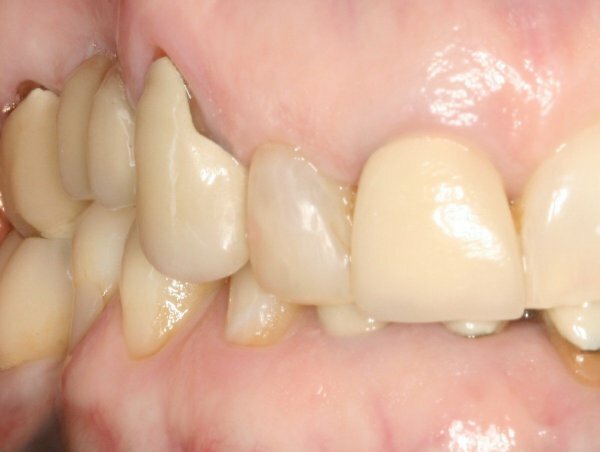 Now, this looks suspiciously like an abfraction lesion to me, and it has has been subjected to significant occlusal loading palatally from a deep overbite Class II div 2 situation for many years. Is this final proof that such things really do exist – it can’t possibly be toothbrush abrasion since this is the first time it’s ever seen the light of day. Any other ideas, or do you think I have found something significant? I think we’re all aware that bulimia in particular can be a major factor in the development of occlusal changes and wear, so I’d be very grateful if members of the dental team could complete this survey on oral and dental considerations with eating disorders for a project being organised by Alexandra Day (Sheffield) with support from Dr N Martin (Sheffield), Dr A Milosevic (Liverpool) and Prof A Eder (UCL Eastman). Should take no more than a few minutes and will help highlight possible need for better support and education in this increasingly important field. 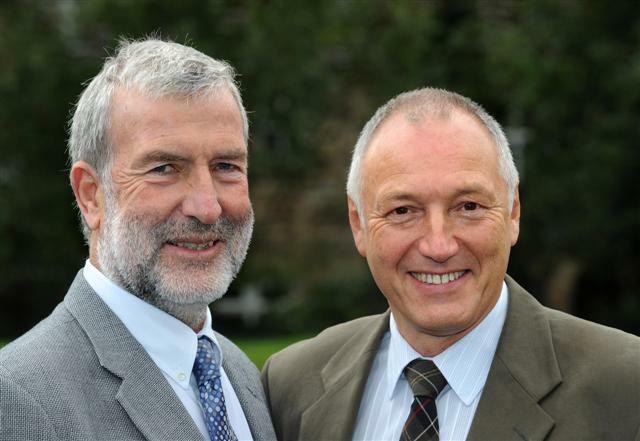 Dr. Barry Glassman, internationally acknowledged as a leading authority on TMD, migraine and dental related sleep breathing dysfunction, will open the 2nd Bruxism Awareness Week with a lecture at the Royal College of Physicians in London on October 24th 2011. It turns out that Dr Glassman’s interest in the field was first encouraged by attending a Niles Guichet course, just like the majority of lecturers for SDS Occlusion! Interviewed at his specialist clinic in Pennsylvania, Dr. Glassman described how his interest was first aroused in this specific aspect of dentistry. I’m amazed what a difference having extra knowledge of occlusion has made. I have treated many hundreds of patients since finishing the course but one in particular jumped out at me. The patient in question has had undiagnosed occlusal problems for years. The SDS questionnaire flagged up the problem. Past dental history revealed a bridge which had failed four times in ten years and numerous broken teeth. On examination he has very large bony exostosis, abfractions, Masseteric hypertorphy and classic violin strings through his Temporalis which were excrutiating to touch. Absolute barn door case, straight out of the notes. Amazingly he’s been a patient at the practice for 20 years and it had never been picked up. As you said on the course, you can only see what you know. After a stabilization splint and a decent bridge made in CR he’s got no pain and is pleased as punch with me as a dentist. He is a GMP for a living and values the holistic approach that we’ve taken to his treatment. He has since recommended other patients to the practice.